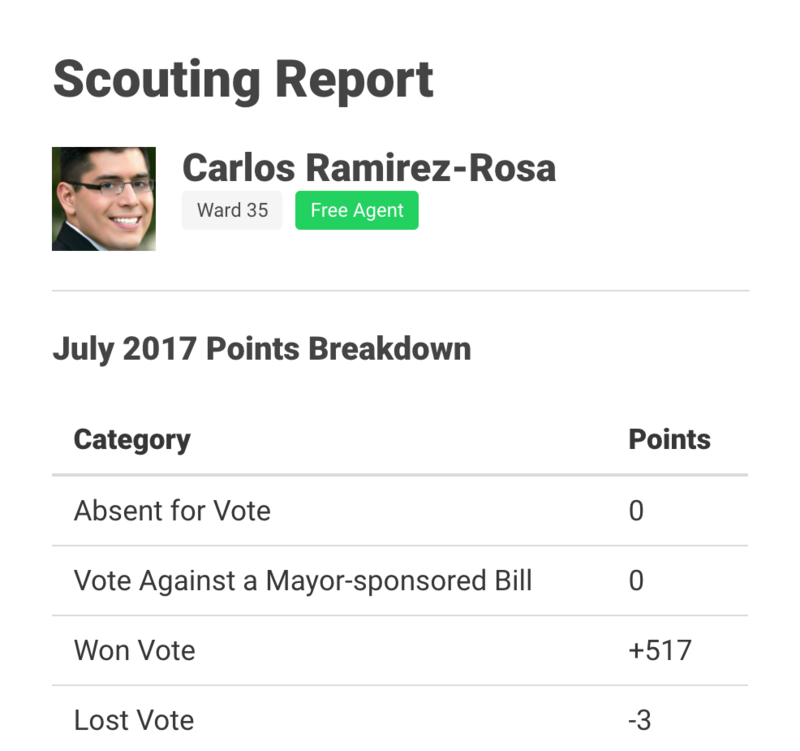 A fantasy sports-style game about Chicago city politics. In fantasy sports, players try to pick the best athletes. In Fantasy Civics, you pick the best aldermen! Browse the 50 aldermen on the Chicago City Council and choose five for your team. Captain Earns points for all Alder-ly activities. Councilperson (x2) Earns points for activity in City Council meetings. Graffiti Buster Earns points for fulfilling graffiti abatement 311 requests. Rodent Warrior Earns points for fulfilling rodent baiting 311 requests. Aldermen win points when they take actions on City Council and when their ward responds to 311 requests. Once you've chosen your roster, save the special link and share it with your friends. Sign up for updates and come back in a month to see how your team scored. Then crown a winning team!